THE director of the company responsible for the Grenfell Tower refurbishment has admitted he doesn't know what the cladding blamed for spreading the inferno was made from. 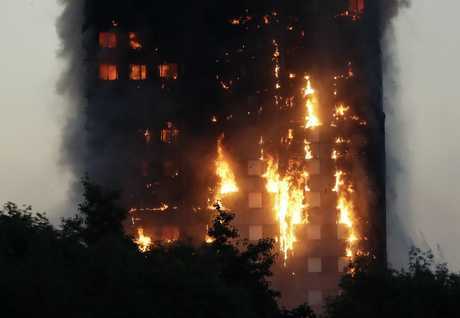 Police have confirmed at least 12 people perished after fire engulfed the 24-storey apartment block in Ladbroke Grove in West London but warned the death toll was likely to rise dramatically. Many fear the colourful plastic and foam insulation panels, which were added in May last year by construction, development and maintenance company Rydon at a cost of £9 million ($15 million), helped spread the flames. In a fraught exchange with host Piers Morgan on Good Morning Britain, Rydon director Andrew Goldman admitted he had no idea what type of cladding had been used on Grenfell Tower. "We know your company did the refurbishment only last year and added all this exterior cladding,' Morgan said. "Almost all witnesses said they saw the cladding basically firing up - bits of it were igniting before their very eyes. "There will be many other people living in buildings with this type of cladding who want to know what the hell has gone on. 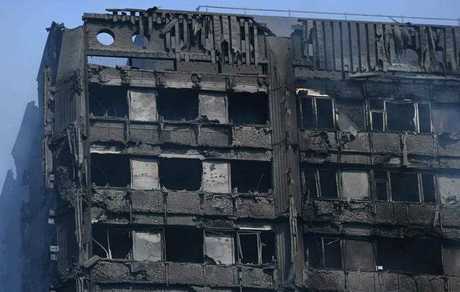 Can you us tell what the cladding was made of?" Mr Goldman said he did not know exactly what the cladding was made of and didn't want to speculate before investigations could determine the cause of the fire. "We don't know there is any direct link between the fire and cladding," he said. "There are various different types of cladding and I don't know the exact specifications. It's a terrible disaster and again we want to get to the bottom as quickly as possible. "All the materials that we used and the procedures we put in place follow health and safety guidelines." Morgan shot back: "These aren't very satisfactory answers." Cladding is considered a low cost way to modify the exterior of unattractive buildings and was used on Grenfell Tower so that the building would look better when viewed against the backdrop of conservation areas and luxury flats that surround north Kensington, according to planning documents obtained by The Independent and other British papers. Rydon had earlier insisted its work "met all required building control, fire regulation and health and safety standards." A statement from the company on the "devastating" fire read: "Rydon completed a refurbishment of the building in the summer of 2016 for KCTMO (Kensington and Chelsea Tenant Management Organisation) on behalf of the council, which met all required building control, fire regulation, and health and safety standards." Residents described how the foam-filled cladding "went up like matchsticks" as the blaze spread. Similar cladding now covers homes and offices across Britain and indeed many countries across the world, including Australia. Association of Specialist Fire Protection spokesman Andrew Tarling called the Grenfell disaster "an accident waiting to happen". "They clad the concrete of this building with flammable insulation panels and rain screen cladding with a 30mm gap, which acted like a chimney," he told The Sun. "All the burning material falls down, starting more fires below, and the flames spread up and across searching for oxygen. "Meanwhile, crews can't tackle the fire effectively because their water just bounces off the rain covers. "The cladding looks lovely, it's cheap, complies with regulations and gives the building a high environmental rating. But it's a silent killer. "When this block was built, it complied with the old fire regulations. Had it been left alone it would never have burned like this." An industry watchdog issued a worldwide alert about the dangers of cladding after the panels caused fire to rip through a Dubai tower block in minutes 18 months ago. Southwark Council was fined £570,000 for fire safety failings in February - but astonishingly not for the cladding. There were further questions last night over the possibility that fireproof insulation, removed to replace old pipes in last year's refurbishment, was not put back. Experts say the removal of such insulation would have created channels of air which effectively fanned the flames inside the building. 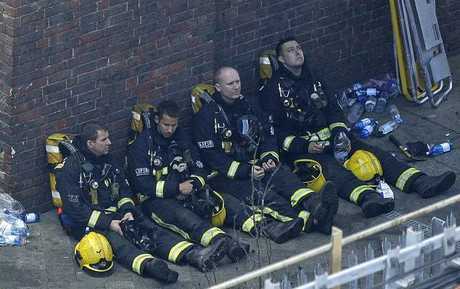 Firefighters rest as they take a break in battling a massive fire that raged in a high-rise apartment building in London, Wednesday, June 14, 2017. 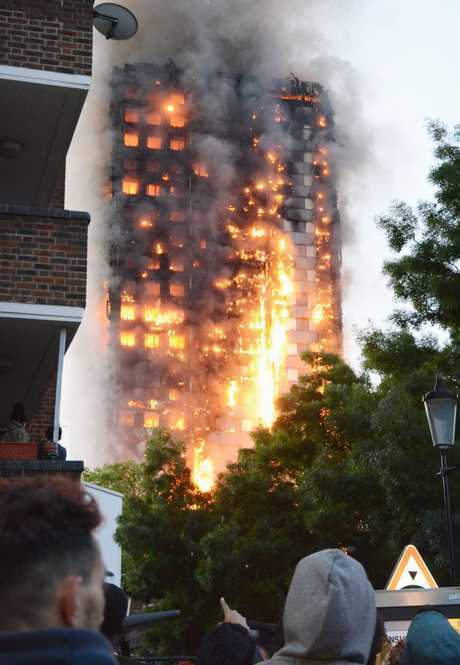 Residents at Grenfell were also told to stay in their flats rather than flee because the staircase was not designed for a mass evacuation, according to The Sun reports. But the "stay put" policy was developed in an era when fires mostly stayed in the rooms they started in - and were not expected to spread so rapidly on the outside of blocks. A man employed as part of Grenfell Tower's fire maintenance system told the paper on condition of anonymity that alarms did go off - but might not have sounded. "We got a call this morning to say the alarms had activated and needed to be reset," he said. "When we get a notification like that it means the fire alarm must have gone off. I've heard residents' reports that they didn't sound. This is unusual but is possible. We only manage the fire alarms in communal parts of the building." The man did confirm, however, that the building had not been fitted with sprinklers when it was built in the 1970s. 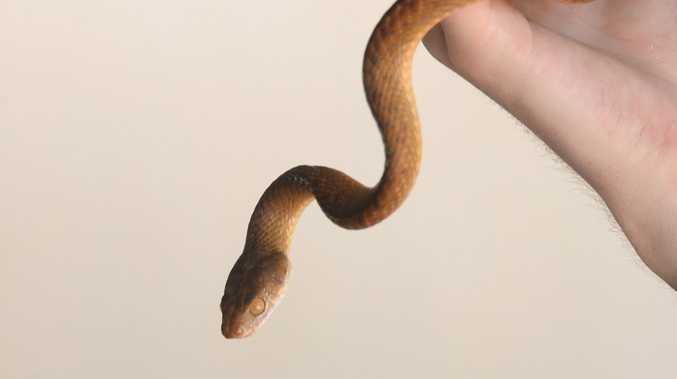 "I know that because we would manage them if there were," he said. "When it was built it didn't have to have sprinklers put in. Regulations were different in the 1970s. Even now it's only a recommendation. "Sprinklers are expensive. They cost about £3500 ($5900) per dwelling - a lot for a high-rise building. But you should never put a limit on the price of safety of people's lives." Dr Jim Glocking, technical director of the Fire Protection Association, told The Guardian his organisation had "lobbied long and hard" for a review of UK building regulations. "This is not a one-off," he said. "If it turns out that everything was to plan and absolutely appropriate, then that raises a horrific question that what is currently being done is wrong, or certainly not good enough." Studio E Architects, who oversaw the Grenfell refurbishment, said: "We are deeply shocked and distressed over news of the devastating fire. Our thoughts are with those affected. "We will be assist the relevant authorities as and when required." According to planning documents, subcontractors Harley were paid £2.6 million ($4.3 million) to oversee the cladding installation. "Harley Facades Limited completed the refurbishment work to Grenfell Tower. This included the installation of exterior cladding," a spokesman for Harley Facades told Sun Online. "The Aluminium Composite Material (ACM) panels are a commonly used product in the refurbishment industry. Harley Facades Limited do not manufacture these panels." "We will fully support and co-operate with the investigations into this fire. The firm recently went bust, owing creditors more than £1 million, before being bought up by Mr Bailey's other firm Harley Facades. The 58-year-old boasts of more than 25 years "practical experience" as a specialist curtain walling contractor. At their East Sussex home today Mrs Bailey, 56, denied any knowledge of Harley Curtain Wall or its work at Grenfell Tower, insisting there was "nothing to say". Mr and Mrs Bailey's home is behind electric gates accessed from a private road, with a Porsche and Land Rover were parked outside. The Harley Facades office was closed today after it emerged the firm completed refurbishment work at Grenfell Tower.